Dub Nation stand up with this brand new “King Curry” dad hat from Thou Art Clothing. This really couldn’t come at a more perfect time as Warriors rival Cleveland is being dismantled as we speak due to Kyrie Irving’s recent trade request. ‘King Curry’ hats at Thou Art Clothing are going for $25 bucks. Get one now! What I liked most about the hat is that the image of Steph shooting seems to be derived from the particular play where Steph absolutely obliterates Chris Paul and well, the entire Clippers team that was on the court at the time. This still stands as the Baby Faced Assassin’s marque NBA moment. You can watch it below. Now I don’t know about you guys, but I tend to think I have a pretty good eye for these things. Take a look at my comparison below and see if you see what i see. See how he’s slightly fading away and the right leg is slightly kicking out in both? Steph doesn’t usually shoot like that, so i think it is apparent as to what the artist was trying to portray. Feel free to disagree. Also, feel free to be wrong. 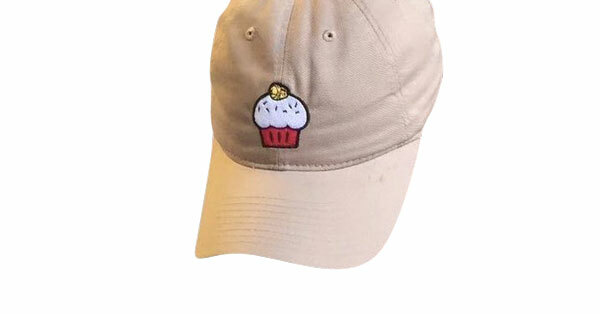 They also got the infamous Kevin Durant “Cupcake” hat. This definitely seems like the place for Dub Nation Fans to go to celebrate the Warriors championship in style. So that about sums it up. Looks like Draymond was right when he said he wanted to annihilate the Cavaliers. When he said that he wants to completely destroy them. 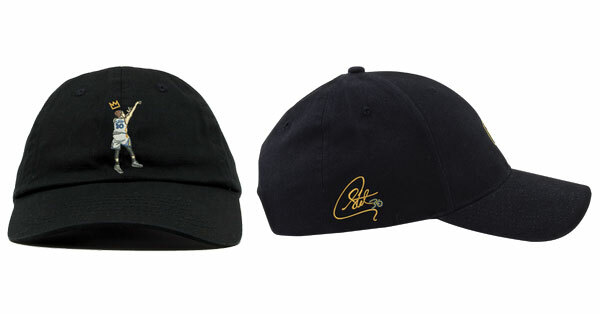 Get your copy of the King Steph Curry dad hat here and be sure to thank me later. Previous articleThe Golden State Warriors face the Cleveland Cavaliers in the moment we’ve all been waiting for. Next articleSuper Sick Scenes From Great and Maybe Not So Great Movies.